After an action packed day and a night and a half (I say half because we had a 4am get up/check out time…) in Reunion we made our way to the airport for the flight to Mauritius where we would be splitting our time between two of the five LUX* hotels on the island – Le Morne and Belle Mare. 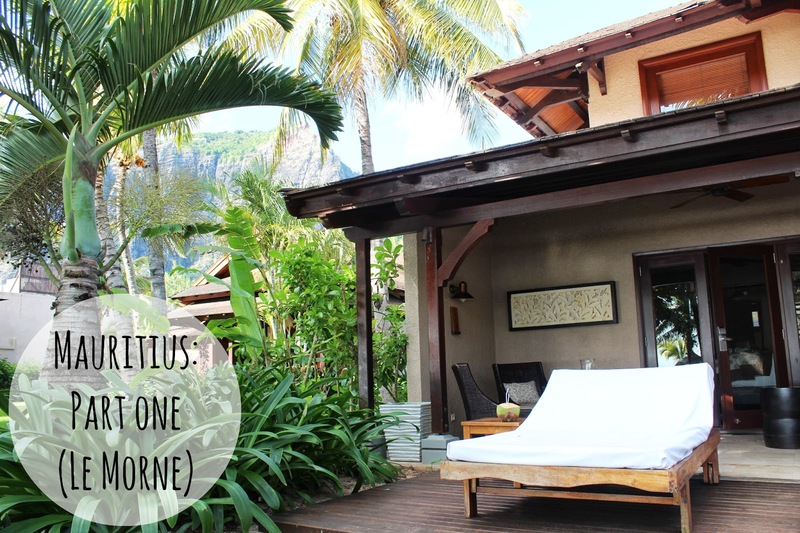 This post is going to be all about the gorgeous Le Morne hotel and some of the highlights (too many to actually fit in one post) of the time there! The Le Morne hotel sits with an impressive and imposing huge rock mountain behind it – looming up out fo the landscape it cuts a pretty stunning sight. White sandy beaches and coral bay at the front but the rock mountain makes Le Morne feel unique and special. There’s a history behind the rock that our driver from the airport told us – it was where some slaves who escaped captivity went to hide, then the saw some British ships sailing close to land and were so scared to be found and punished that they chose to jump from the mountain instead. The saddest part being that the ships were not looking for them to punish or take them back to their masters but to tell them that their captivity was over and slavery was abolished. I know not the most cheery of stories, but it was fascinating so thought I’d throw it in there as a little history lesson to go with the pictures! Then we had a wonderful dinner in The Beach restaurant which is – as the name suggests – right on the beach. The food was delicious – lots of sea food in the perfect sized portions that leave you satisfied but not stuffed. The giant prawns were incredible! Dinner was accompanied with the LUX brand’s own wine, exclusively available at the resorts – they have a white, red and rose all from South Africa and the white and sparkling in particular are really lovely. More highlights from Le Morne (in another post…) include a gorgeous sunset cruise and swimming with dolphins in the wild…! As I write this I’m about to head out for our final dinner in Mauritius at another of the LUX* hotels (Belle Mare) before our journey home so the next post will be after I’ve returned – unless I do find a way I can never leave that is…. Wow all i can say is its amazing!